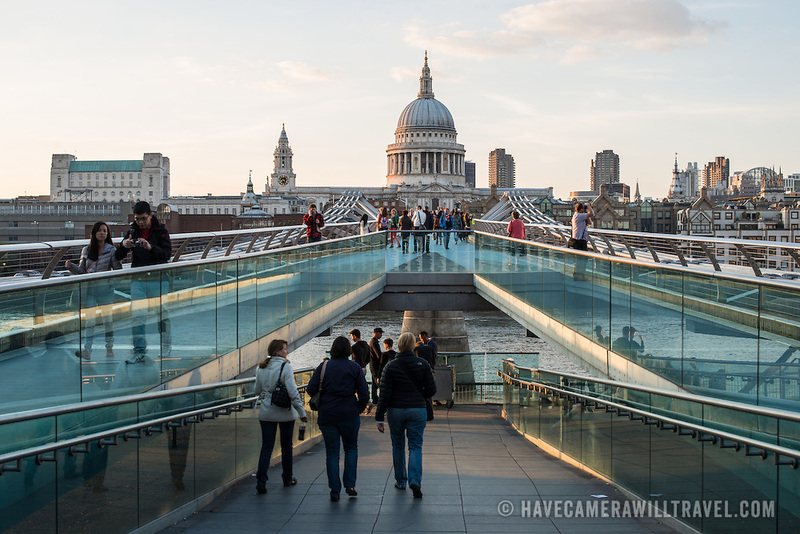 Pedestrians walking on Millenium Bridge across the River Thames. In the distance in center of frame is the dome of St Paul's Cathedral, one of the most distinctive of London's landmarks. There has been a church on this site since 604 AD. The current building, with it's massive dome, was designed by Christopher Wren and dates back to the late 17th century.